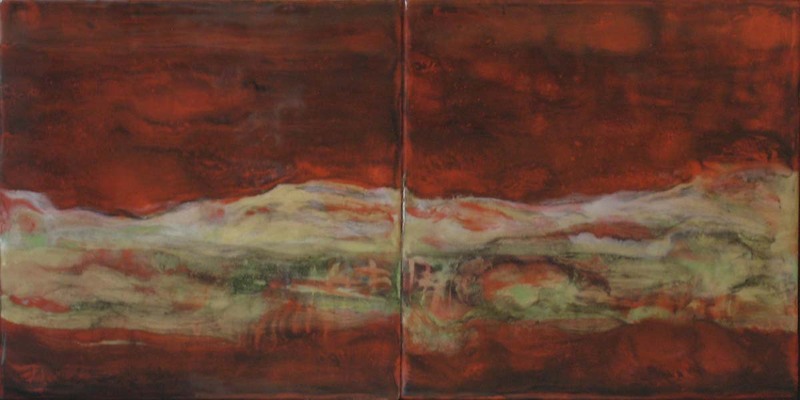 Martha has delivered two recent encaustic 12″ x 24″ diptychs to the Karan Ruhlen Gallery on Canyon Road in Santa Fe, NM. This has been a very sought-after size by the gallery collectors. The two new paintings from the Canyon Walls Series are posted below.